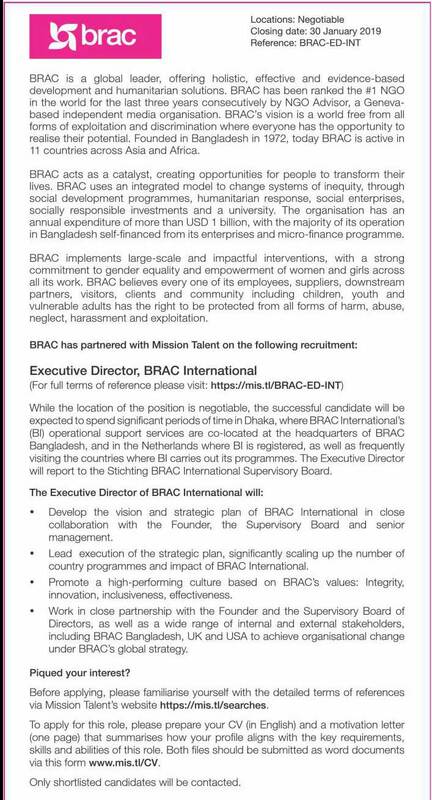 Employment in BRAC International BRAC job circular 2019 has been published by the authority of the organization. BRAC is an international development organization. Recently they have published a job circular which position of Executive Director. BRAC is a non- governmental organization in the word. There are many graduate people; those are wanted to get a job in BRAC. BRAC job is not a government job but very demandable. 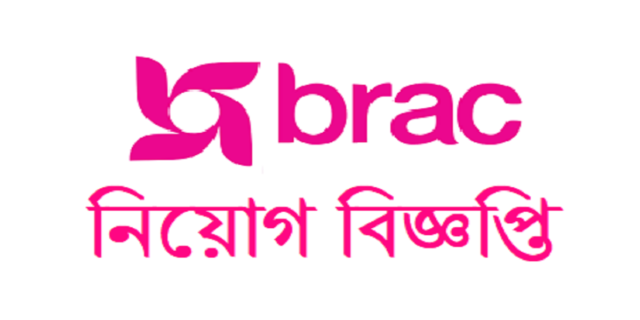 We have already posted the BRAC Bank Job circular 2019onn our website. If you are looking for another job, also find on this website. Every day we are updated jobs circular. There are different jobs circular you will get from this website, like Government job, Company jobs, NGO jobs, Private Jobs and other locals jobs too. BRAC is given all the needed requirements for applying for this job in their job circular. BRAC job circular 2019 is given here. The job circular includes all the information in it. The last date of application is too near. 30 January 2019 is the last date of application. Interested people should apply for this job as soon as possible. The applicants must be applying with a cover letter in English and a motivational letter. They will call shortlisted candidates for interview. BRAC is established in 1972 after the independence of Bangladesh. More than 10,000 people are working in this organization. Mainly BRAC is working for developing village areas. BRAC is an NGO that doing work to develop the rural area of Bangladesh. BRAC is the no. 1 NGO in the world for last three years.